On one hand, it’s great to be concerned about messing up. We always want to be prepared to explain our faith, and get better at it as we mature in Christ. On the other hand, God is more sovereign than our mistakes. He will not deny His grace to another because our explanation was as clear as mud. 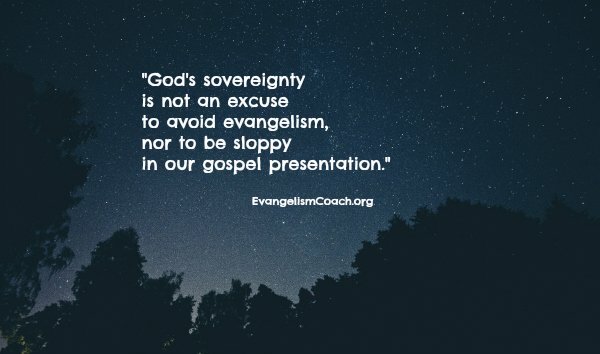 God’s sovereignty is not an excuse to avoid evangelism, nor to be sloppy in our presentation. What must a clear Gospel explanation have? The nature of sin and our separation from God. The love of God and his desire to be reconciled to the lost. Christ died for our sins and rose again. Belief in Jesus is the response to God’s irresistible grace. One of the most popular forms (see our series on evangelism scripts) to explain the gospel is the Law and Gospel script by the Way of the Master folks. I like the theology of the Law and Gospel presentation. But don’t agree with how some of its users say its the only valid form of the gospel message. The implication is that if one didn’t get the right explanation of the gospel, you are a false convert. Or if you miss an element in the explanation, the conversion has misfired. In my own testimony, my conversion misfired 20 years ago because I didn’t come to faith in the right way. I raise a similar question here on the starting point for the gospel. Do versus Done and so forth. There are plenty of scripts out there one could use. Just get familiar with one and start. Each script has its critics, and its endorsers. It’s not my point here to pick one over the other. My point however, is to pick a script and get very familiar with it so that you can explain the gospel clearly when given the opportunity. I use the Bridge Illustration as I think it covers a lot of ground. Practice it over and over on a napkin until you can explain it clearly at any given moment. Learn how to share it lovingly and in the form of a dialogue (the script is not a tool to cream people). What script do you like you to use? 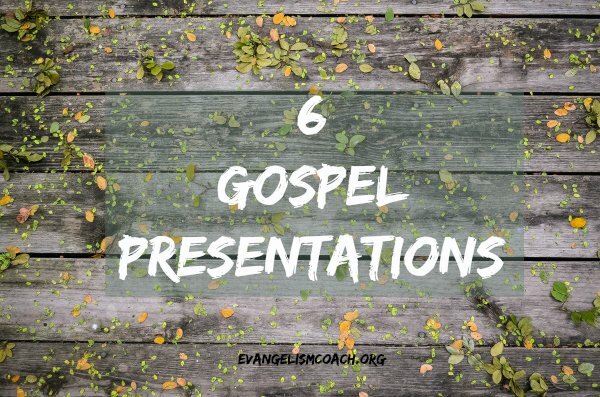 Can you share the gospel message clearly when needed? See our entire series on scripts. I have used all the ways you mentioned and found all to be effective if people will only use them. You didn’t mention EE, what think ye of it? I forgot about EE when I originally wrote the series and this article. Small oversight on my part. I think it can be a good one if the person I’m talking to is actually asking the question this script addresses. The opening Question: do you know for sure that you are going to heaven? may be asking a question that the person I’m witnessing to may not even be asking. It may not be on the radar. If it is a concern on their mind, then I think the EE approach can be a good tool to answer that question. I’m engaged in rural evangelism. 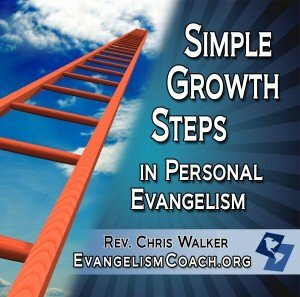 I’ve observed that the EvangeCube is one of the most effective tools for soul winning. Please how can I get copies to buy.